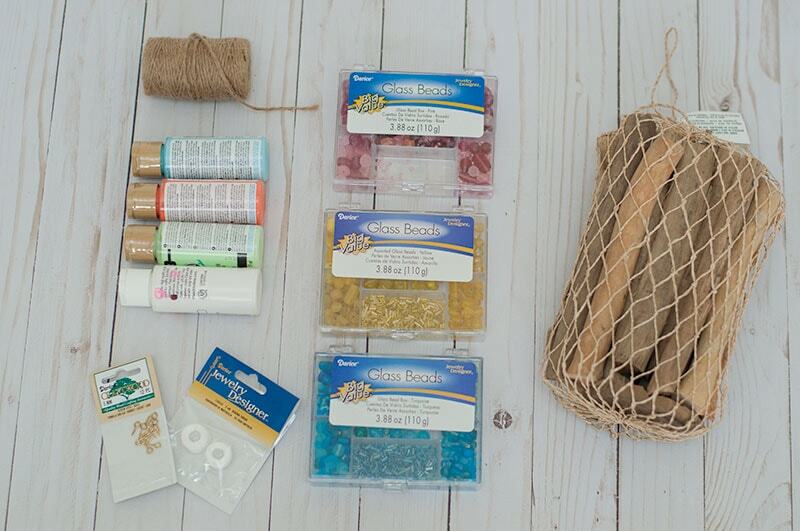 Today I’m sharing a fun Summer project for the kids. 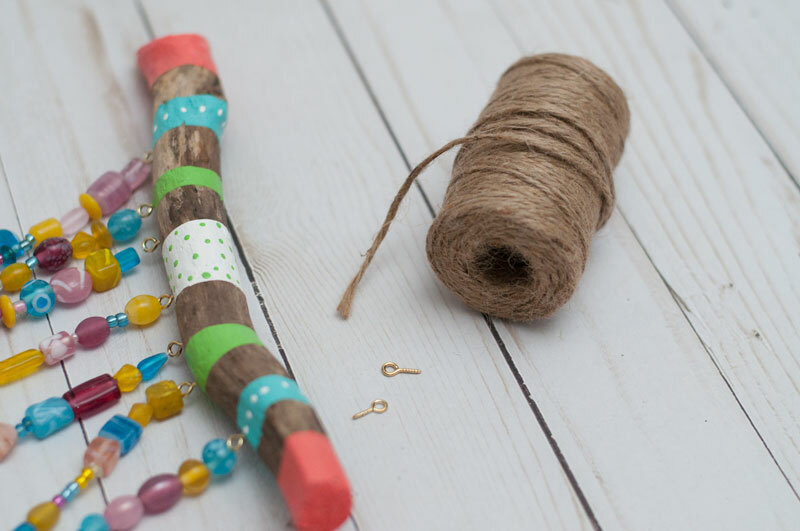 We made DIY Wind Chimes for Crafts Unleashed! This is the first time we have worked on a wind chime craft so we were all really excited! It’s Summertime here and what’s the best thing to keep the kids busy? A kids craft of course!! My kids LOVE working on new craft projects everyday, it just helps break up the day around here. One project that they’ve been wanting to do was make a wind chime for our yard. 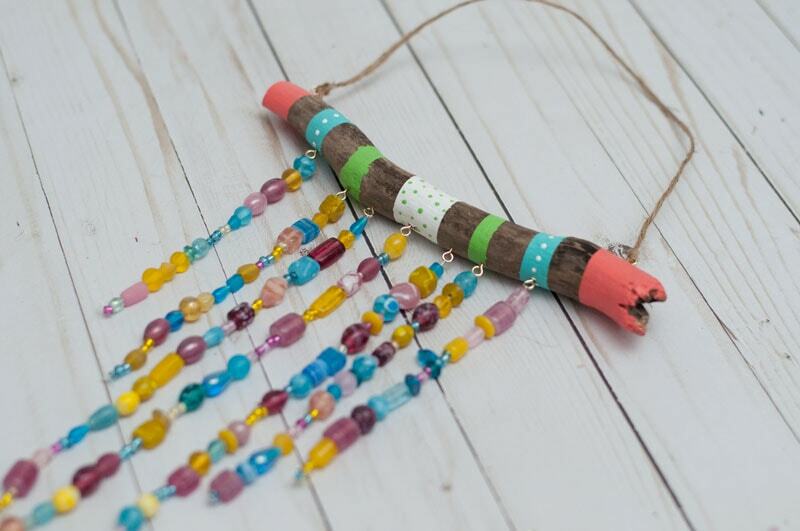 We decided to just make a classic wind chime with some driftwood and beads. This is a great project for kids of any age, but I do suggest helping kids 6 and under with this. I can even see this project being made at Summer Camp! 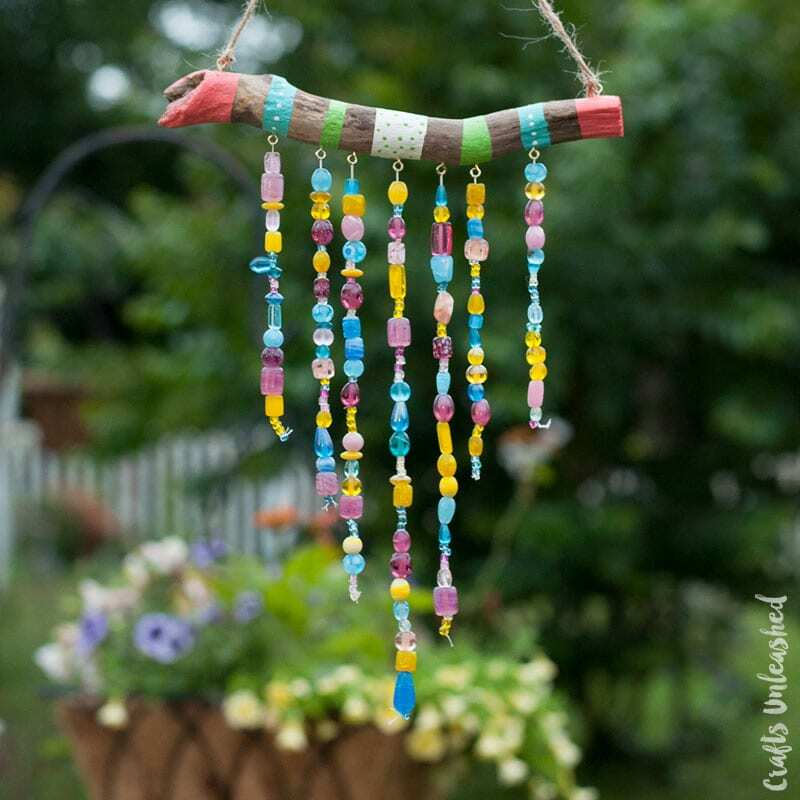 Follow along to learn how to make DIY wind chimes for kids! 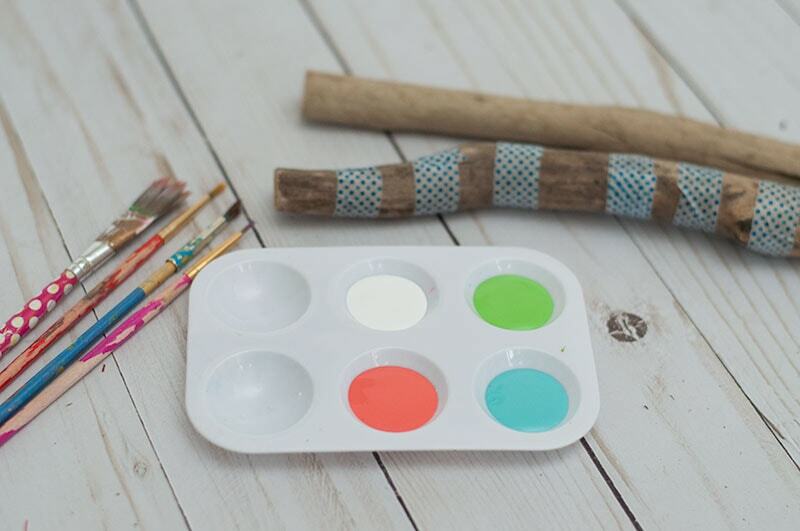 Step 1 – Paint Stick. Now this part is where the kids can get as creative as they want. We decide to paint our stick first, just giving it some extra detail. They can freehand or tape off, whichever works best. Once it’s dry they can add some more details with a fine paint brush. I also think adding some glitter paint would be a fun addition as well! 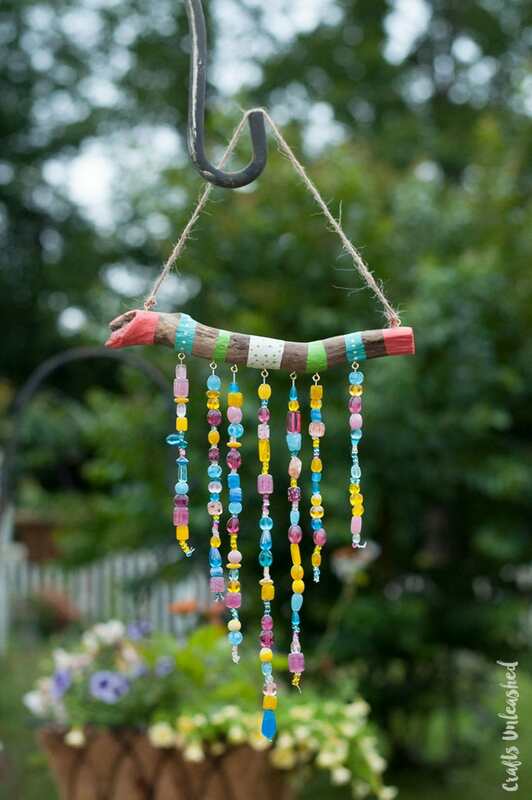 Since I used Patio Paint from DecoArt this wind chime will be long lasting outside! Step 2 – Add Hooks. Let’s add our hooks. Now this is the part that an adult will have to help with. The hooks actually go into the driftwood pretty easily. Just mark the spots and start twisting them into place. For a younger child this might be hard to do, but you can always get it started for them and they can finish it. 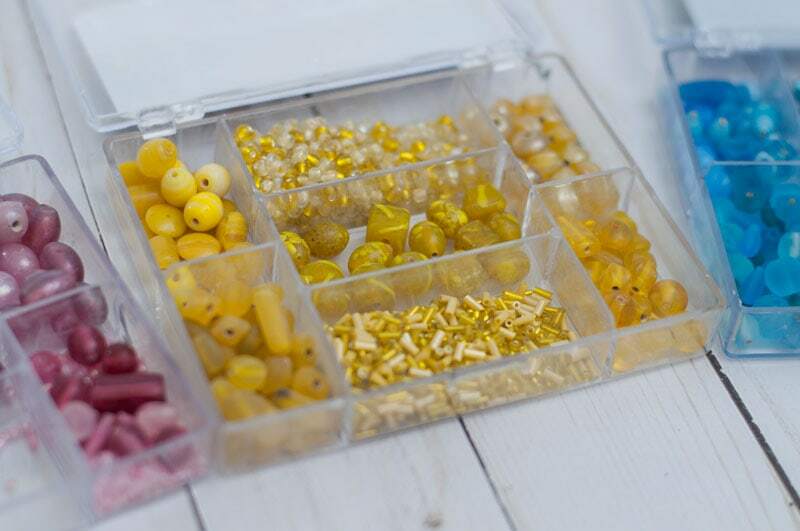 Step 3 – Add Beads. Now let’s add our beads!! When adding the beads I had no rhyme or reason. I was just mixing them up as best as I could. Once we were done adding our beads, we tied a knot at the end using a smaller bead to help keep it in place. Step 4 – Add Hanger. Now let’s hang it up! I added two more of the hooks at each end of the wind chime. Then used some jute to hang it up! See how pretty it turned out!! 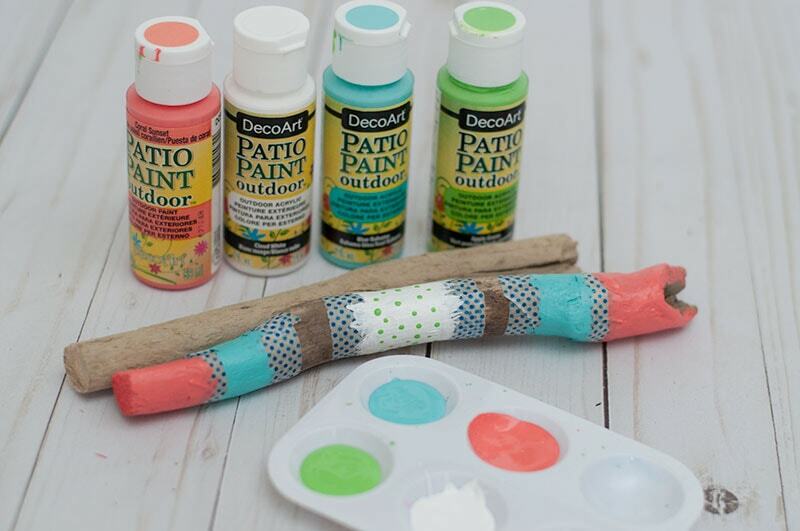 This is a perfect rainy day project to keep the kids busy during the Summer. 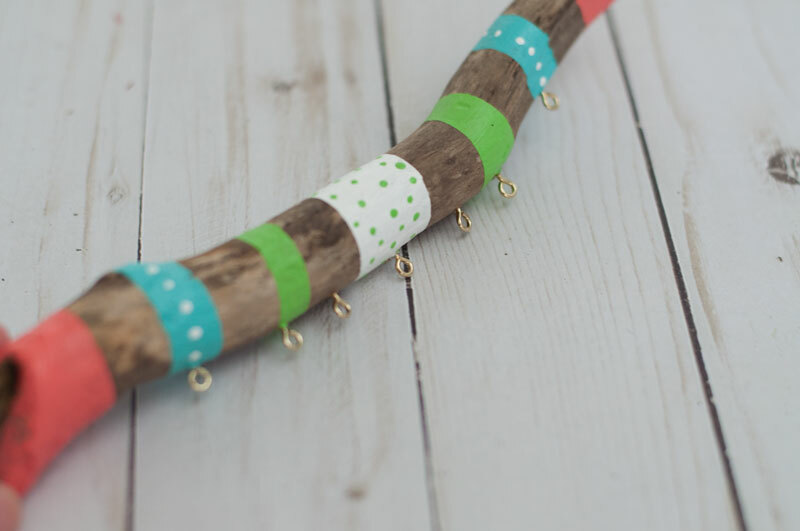 So how fun is this DIY wind chimes for kids craft?!? I LOVE all the bright colors. It will totally make a statement in the yard this Summer and the kids can be proud to show it off to everyone! What a fun project to work on with the kids. What have you guys been doing to keep the kids busy this Summer? 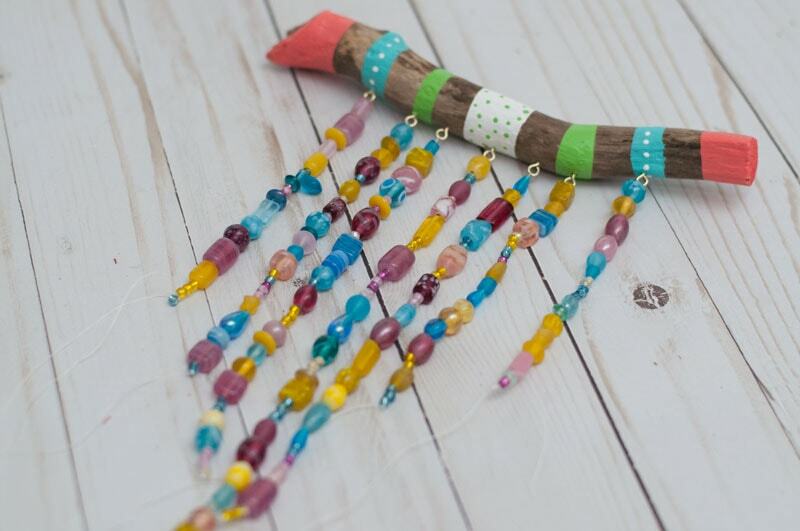 Another wind chime that completely stole my heart is this coastal inspired sea glass wind chimes!